find out how an existing condition is developing and to see if ongoing treatment is effective. Review what you need to know about diet, medication and activity before your exam. We want your exam to be as comfortable as possible, learn the steps involved in your PET/CT exam. 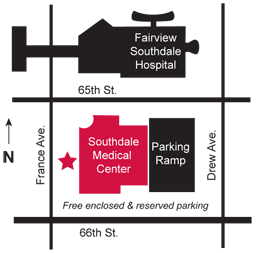 Suburban Imaging (SRC) and Consulting Radiologists, Ltd. (CRL), are pleased to announce LifeScan Minnesota, a new partnership providing PET/CT imaging in the southwest metro region. We have partnered to provide you and your patients with the highest quality PET/CT imaging. We appreciate the opportunity to continue serving you and your patients’ needs for PET/CT imaging at LifeScan Minnesota. To schedule an appointment, please call 952-893-1997. Copyright © 2016 LifeScan Minnesota. All Rights Reserved.